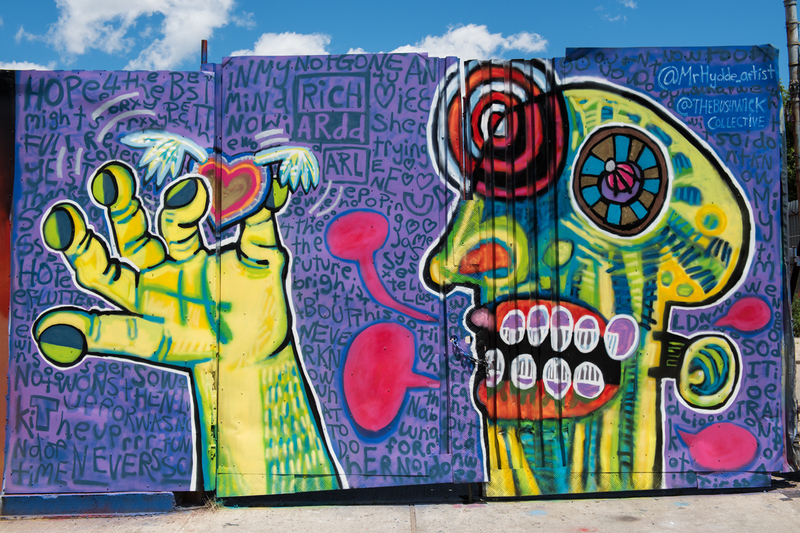 Last weekend, the Bushwick Collective celebrated its 5th Annual Block Party. 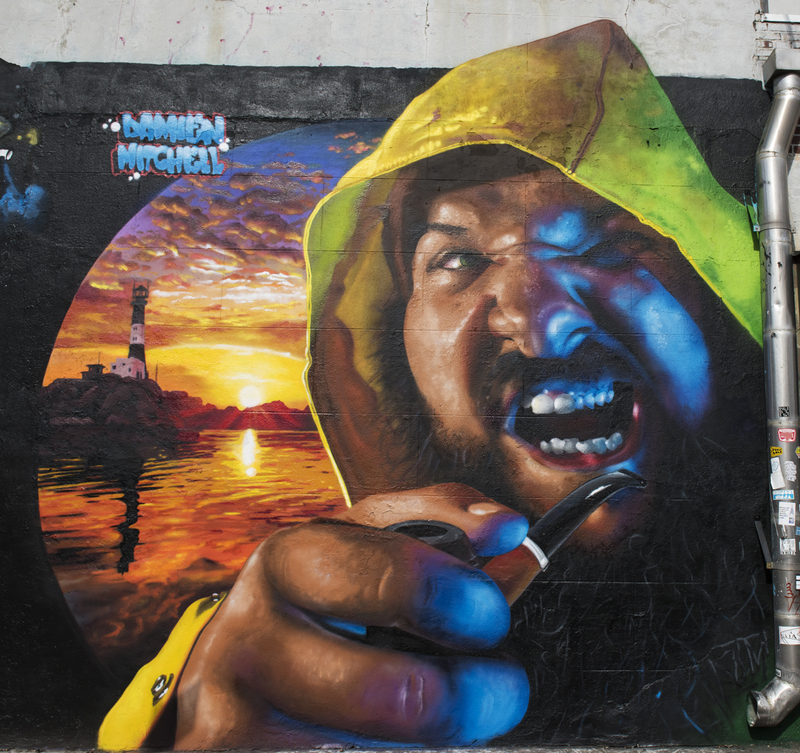 Renowned graffiti and street artists from all four corners of the globe gathered in Brooklyn to create new pieces live. Block after block, people packed the streets to watch these artists in action and to enjoy the live music performances. 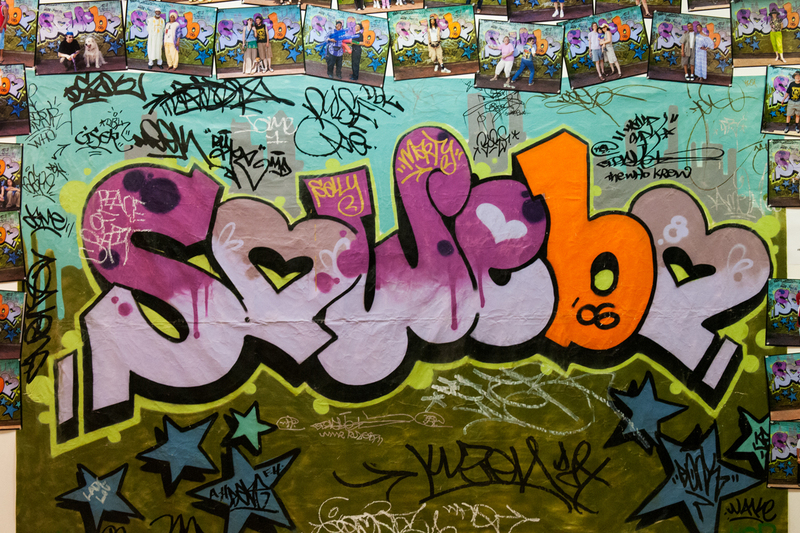 Last evening Gallery 788 in Hampden opened its month-long exhibit Sowebo/Soweto which features work by the preeminent and universally-beloved photographer Martha Cooper. For a number of years Martha has been documenting street life in Southwest Baltimore. In this exhibit she illustrates and demonstrates the similarities of life in Southwest Baltimore (Sowebo) and the Southwest Townships (Soweto) in Johannesburg, South Africa. You will find the similarities striking and the photos quite evocative. I particularly enjoyed her step sitter series. Baltimoreans love to sit on their front stoops. Artists came from New York, Baltimore, and places in between to show support for and appreciation of Martha, who has photographed them over the years: Chris Stain, Katey Truhn and Jessie Unterhalter, Logan Hicks, Nether, Pablo Machioli, Richard Best, Toven, and many more. The Soweto/Soweto show runs through February 28th at Gallery 788, 3602 Hickory Avenue, Hampden. More information about Gallery 788 here. 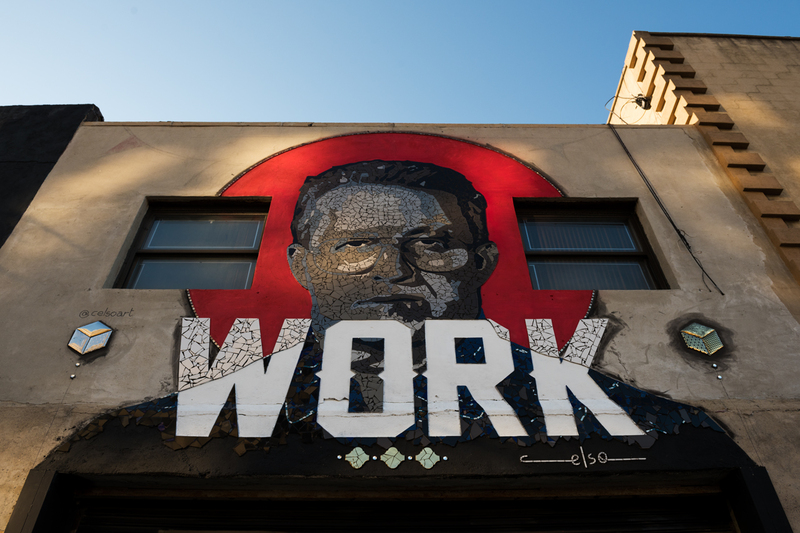 New York artist Logan Hicks completed his stencil mural for Open Walls Baltimore 2014. 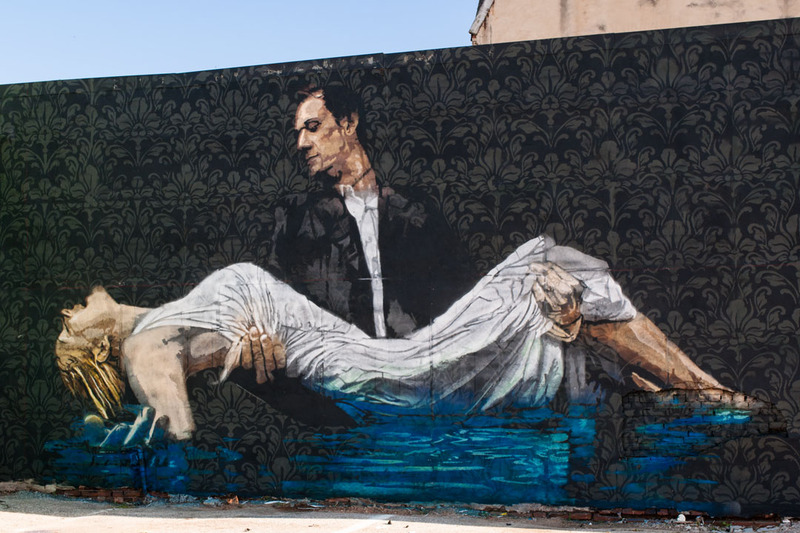 You can see this mural, reminiscent of the Pre-Raphaelites, on the corner of Maryland Avenue and E 20th Street.